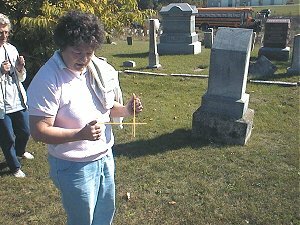 In September, of 2000, a Cemetery Restoration Workshop was conducted in the interest of helping build an awareness of the need for increased attention to Van Buren County's pioneer cemeteries, many of which are in desperate need of care. 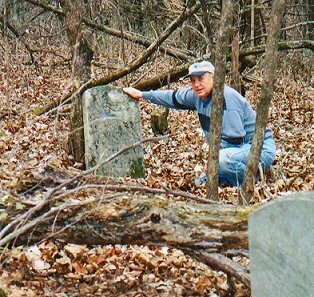 Iowa law define a "Pioneer Cemetery" as one in which there have been no more then six burials in the past 50 years. 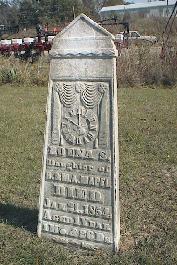 Van Buren County has a total of 73 pioneer cemeteries among a total of 113 cemeteries in all. Most are in desperate need of repair. See photo. 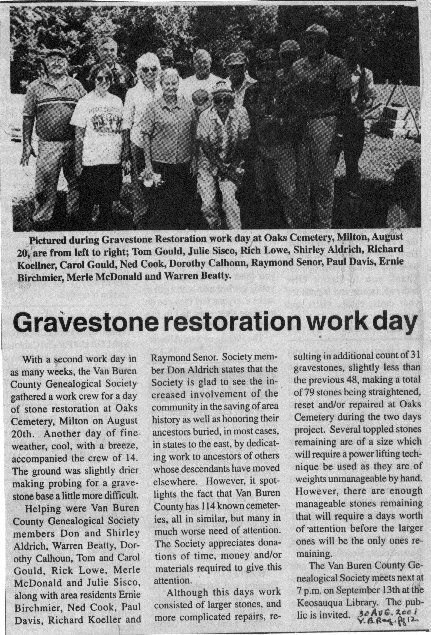 The workshop was sponsored by the Van Buren County Genealogical Society, coordinated by Jon Finney and conducted by Beverly Bethune of Indian Hills Community College. 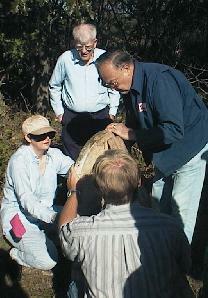 Since that time, a group of volunteers, headed by Don Aldrich of the VBCo. 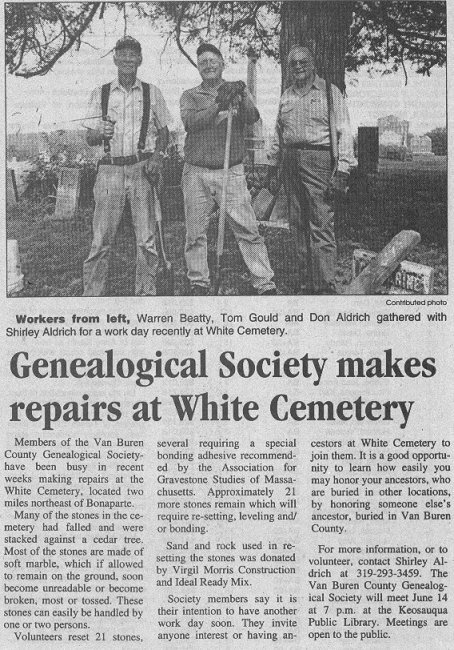 Genealogy Society, has worked hard to clean up and restore several of the county's pioneer cemeteries. To view a sampling of recent activities, click on: article 1; article 2 ; or article 3. A "slide show" of highlights of the workshop can be downloaded in a file from this website. File size is 4,910k. Save the file to your desktop, then double click on the file to run it. The slide show may be stopped at any time by clicking on the photo with your mouse button. To download, click here. Much work has been done in the years since this initial workshop and the end of work yet to be done is not in sight. Your help is needed. If you are interested in learning more about how you can help, either financially or in other ways, contact the Auditor's Office, Van Buren Co. Courthouse, Keosauqua, IA 52565. 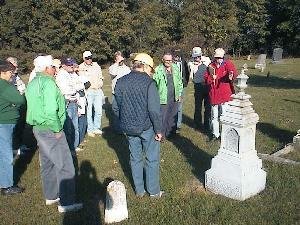 Financial contributions are welcomed and may be directed towards the upkeep of a specific cemetery if desired. They may be sent to either the Auditor's Office at the address listed above or to Donald Aldrich, Van Buren Co. Genealogical Society, P.O. Box 158, Keosauqua, IA 52565.